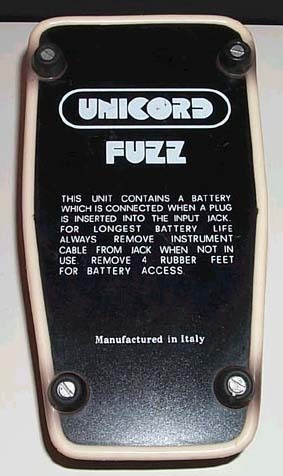 Unicord Fuzz (1, 2) - Fuzz pedal with two controls, attack and level, 1 input, 1 output. Appears to be made of plastic. Note how "C" in Unicord looks like a Pac-Man(TM). Made by JEN ELETTRONICA in Italy. 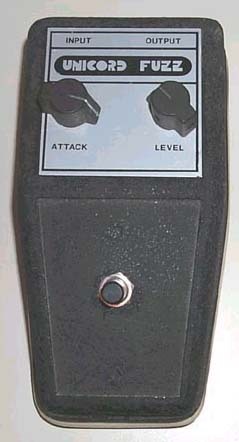 This was actually a repackaged Vox/Tonebender.